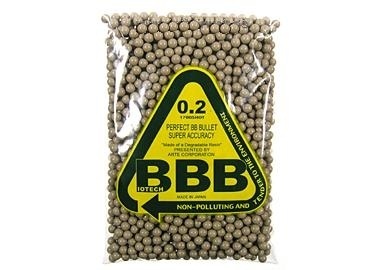 The Biotech Factory in Japan has decided rather than waste the previous supply of Arte Biotech BB bags, to continue to ship in these original logo bags until the old stock is exhausted, as there is a close relationship between Arte Corporation and anGs, Arte have approved the use until the factory has to switch to the new anGs Froggy Logo bag. 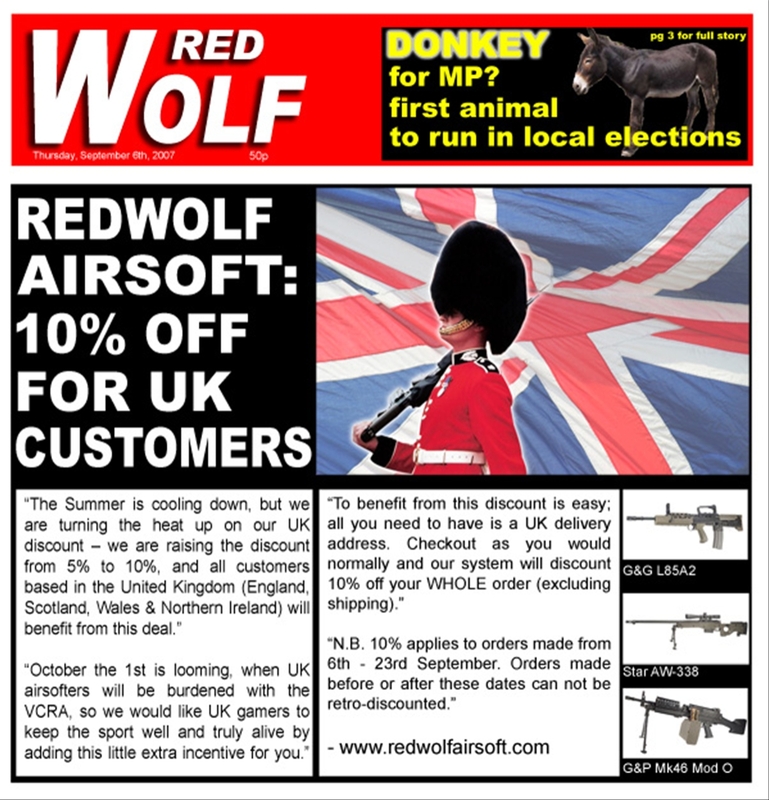 The guys at RedWolf Airsoft have an offer for UK customers which means you can get up to a 10% discount just for being based in blighty! The Summer is cooling down, but we are turning the heat up on our UK discount – we are raising the discount from 5% to 10%, and all customers based in the United Kingdom (England, Scotland, Wales & Northern Ireland) will benefit from this deal. October the 1st is looming, when UK airsofters will be burdened with the VCRA, so we would like UK gamers to keep the sport well and truly alive by adding this little extra incentive for you. This discount ends on the 23rd September, so get your skates on! These and many more others can be found here. These are only available at these prices while stocks last. We have just completed out latest edition of the program, but before I get too far into the details, I would like to announce that we have added a staff member to the OPSEC Airsoft crew. Alphawolf has been a regular on the program for quite some time and we finally convinced him to take a staff position last night. He will be specializing in field reporting, national airsoft events as well as keeping us on-time during the live shows. Alphawolf will be filling a critical role on the program and we look forward to exploiting him shamelessly. Onto last night’s program… The studio suffered a loss of power 1 hour before air, in classic OPSEC style, but we still managed to run the entire program on reserve power. After all, it wouldn’t be a true OPSEC broadcast without crippling technical difficulties. This weeks broadcast is now available for download via iTunes (search for “opsec” in the Music Store) or via direct download at the below link. Due to the unclear situations of the new airsoft regulations beginning from October 01, 2007 in U.K. We will STOP proceeding orders made after September 15, 2007 which has to be shipped to U.K. containing ‘ completed airsoft guns or replicas ‘ to avoid any argument with customers as well as guns being confiscated by customs under the VCR bill. All paid orders via www.rsov.com shopping system after September 15, 2007 containing completed airsoft guns or replicas shipping to U.K. will be fully refunded and orders will be automatically canceled. 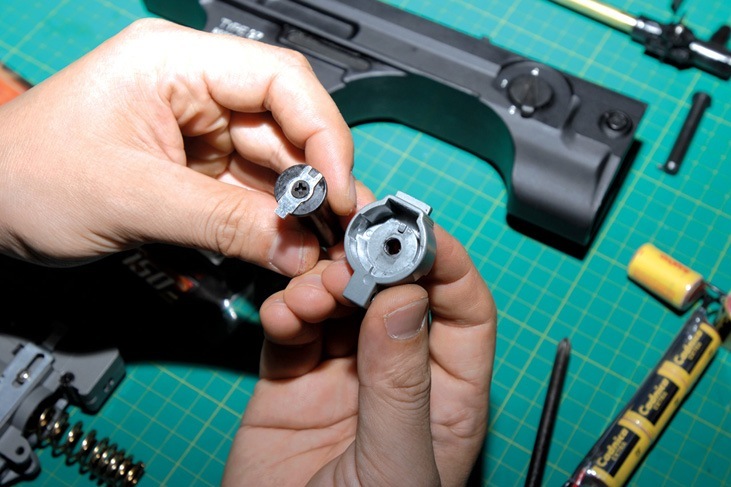 Shipping of airsoft accessories or tactical gears to U.K. will not be affected. We may start shipping airsoft guns and replicas to U.K. again when the situations is cleared. Thanks a lot and we are sorry for any inconvenience cause. Not a lot is known as to how the laws will affect Airsoft in the UK so we can only wait to see how things pan out. It would be advisable before purchasing from outside the UK to check things first with HM customs and your chosen freight company. 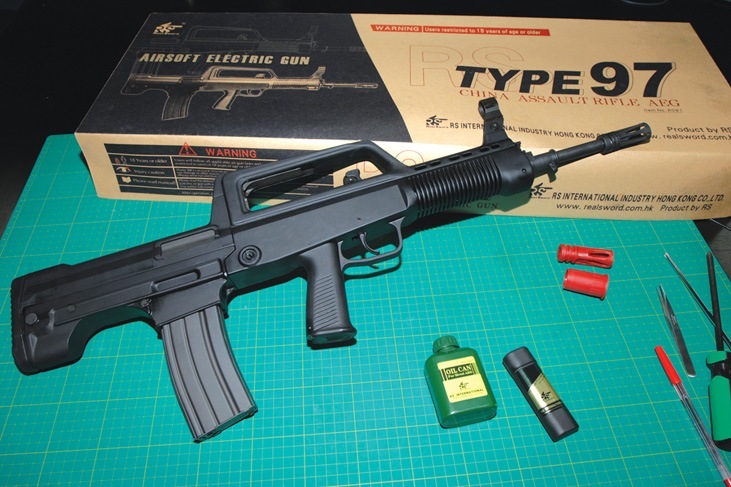 The guys at Real Sword have mailed over a review of their Type 97 bullpup AEG written by Richard Lee (photos by Jensen Yang). It includes a heap of photos, and whilst Richard’s first language isn’t English the text and material will be of interest to anyone after a Type 97. Read the full review and the rest of the text after the jump. Almost 40 NEW Guns! All just arrived and ready to ship! Starting at $170! I’ve been a bit slow off the mark with this one, but the last 100 tickets are now outstanding for Town Assault: Last Strike. Want to know more? Read on! Another round of Town Assault is about to take place at the Army Training Estates of Caerwent. Only this event marks the end of the Town Assault series of events. The Coalition forces will pit themselves against the UCLA Rebel Insurgents for one last time as the climax of the series unfolds at the Caerwent Army Training Area. Check out the full details at www.ta-events.co.uk/laststrike. Caerwent ATE, is a former USAF bomb storage area but is now used as an infantry training area. The entire estate consists of 400 buildings and around 35 miles of road network. The training area is located in South Wales and is just a mere stones throw from the Severn Bridge. The area being used for the Last Strike event is 1.5km long and nearly 1km wide. A number of buildings will be in play and many more can be fought around. However, the area is absolutely huge and is the perfect location for the final battle to end the series. The event will be on the 13/14 October 2007 and the entry fee of the event is £75. Last Strike will focus on the final UCLA offensive and involves a plot that will unfold during the course of the weekend where by the Coalition discover the true intentions of the UCLA at Gechin and must prevent their campaign of terror as they race against time. So if you have always wanted to try a Town Assault event but for whatever reason have not been able to so far, then this could be your final chance. If you’re a TA veteran or keen for something a little more milsim, you’d be a fool to not consider going – especially with only 100 tickets left. Click on the ‘more’ button to find out more details! AirsoftXtreme Summer Assault issue #3 is sold out in UK, US, HK, Japan and Philippines. We would like to thank you all guys in purchasing our magazine. With This… We present to you AirsoftXtreme 4th issue. Featured Airsofters from all Around the Globe. Pure Airsoft fun. Less Advertisements. A long time ago, in a land not far away there was an Airsoft team called TAG-CERBERUS. The team formed about 3 years ago from a group of like-minded players based in Yorkshire. The majority of team members have served in the British Army, some with many years of service and experience who like to play Airsoft to have fun, relax and enjoy themselves. After quite a while with no woodland site in our area we realised that many players had drifted away. Now, we’ve decided to do something about it by giving local players a site where they can enjoy Airsoft without having to travel long distances. We’ve formed an official club to run CERBERUS AIRSOFT, because it’s a club we won’t be paying salaries to the staff. Instead we intend to re-invest all the income into the club so we can build up our facilities and provide a constantly increasing Airsoft experience. CERBERUS AIRSOFT is the new name in Woodland Airsoft in Northern England. We’ve secured an exciting location which will offer a totally new experience to many players in the area. Rivock Edge is set in 500 acres of mature forest plantation on one of the highest hills in Yorkshire. The area is on private land and features a road system, tracks and paths, streams, rocky outcrops, a grassy plateau and even caves. The site is easily accessible from the surrounding cities of Leeds, Bradford and Huddersfield and has excellent road links with places further away. From day one we’ll be offering a wide range of scenario’s to challenge players of all standards. Even the most experienced player will find an area of the site unlike any they’ve ever played on before. For the beginners, we’ve teamed up with LightFighter Airsoft who’ll provide a full range of equipment including clothing, weapons and face protection. Green fee is £25.00 which includes free tea and coffee all day and a hot lunch. As you can see Tracerr has their debut issue cover on display. There are some good articles that you can see on the front, as well as a couple surprise articles. Tracerr is also taking submissions for things such as articles, images, and the anticipated customs page. If you want to show off your custom gun, let us put it in the magazine. Check it out, get the down low on submission requirements, and get the most recent Tracerr news at www.tracerr.com. Tracerr Magazine started to try and give the airsoft community a publication that won’t only help the veterans of airsoft, but the newbies as well. We wanted it to be a quality publication. 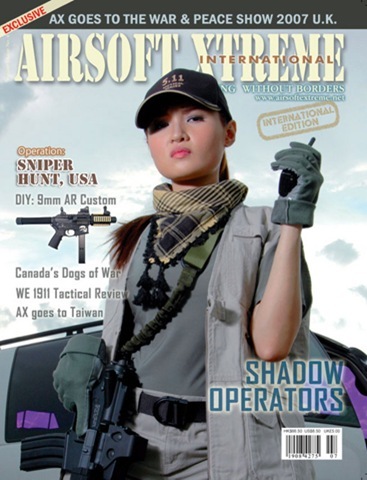 Not just informative articles, but attractive design, good offers from airsoft retailers and other suppliers. I thought I’d just add up a small note from me as I’ve been away from email and not had time to get through my work here lately. I’m going to have a bit of a purge and get back to everyone that I can who has dropped me an email ASAP. It may well take 24-48hrs though so please bear with me. A big thank you to Ai readers for making the launch of the AiM C.B.L. an amazing success – in fact it seems you guys can’t get enough of ’em! No sooner had the Gen I garments landed than they were straight out of the door, and these stocks have now become limited. (And speaking of limited stocks, the AiM IFF Patches have gone in backorder again, but another batch is winging its way to us as I type). We’ve ordered a new batch of CBLs, and following some great feedback from our readers, the Gen II CBL will be even more radically designed in order to further meet your needs on the skirmish field. Hundreds of you have asked if we plan to produce the CBL in ACU or Multicam and for now, I’m afraid, the answer is no. Multicam camouflage is a licensed product, and although we can buy the licence to produce it, the cost would soar dramatically defeating the object of producing a cost-effective shirt in the first place. The AIM brand is about quality products at affordable prices. ACU, however, is a different matter, and we’re expecting our first samples in the next few weeks, so hold tight. Not only for the ACU but also for the complete CBL system we’re working on including pants with integrated kneepads. To celebrate the CBL’s success we’re giving away a complete set of three shirts, along with matching AiM patches, for one lucky reader to win in this issue’s competition, so dial into page 75 and get your entries in. So what’s been happening in Fort Ai? Well, The War and Peace Show was yet again a rip-roaring success. We joined forces with Ai Industry Awards: Urban Site of the Year winner, Ambush Adventures, to host the CQB Arena, and boy did they put on a show – this year’s arena was much bigger and better positioned. To see what we got up to turn to page 46. What else is in this issue? 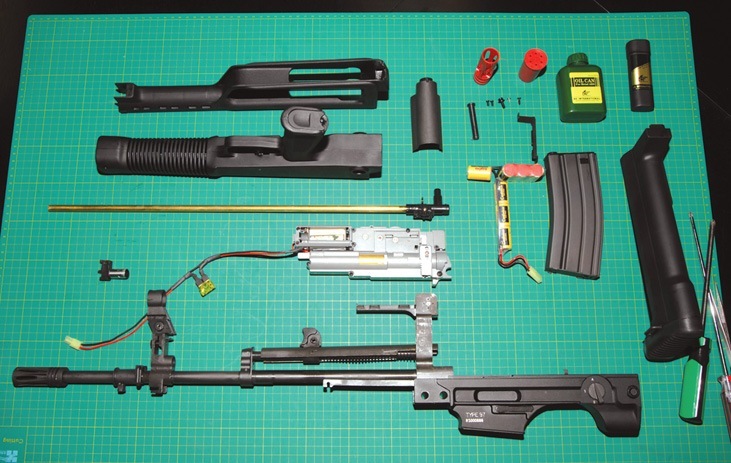 “It’s alive!” Project Frankenstein is completed and Jay field tests the monster for the first time, he also spends some time with the Army Armament R85A1 and takes an SRC RPK through its paces. Meanwhile Mark shows us his HFC Glock 17. Gearwise, we explore the look of the pixelated warriors in Ubisoft’s Blockbuster Rainbow Six computer game. CJ goes on his annual Beltring bargain-hunt – this year with a bit more of a budget and to great effect and, in the extremely popular Tried and Tested, we take a look at the gear the Ai team are using on the skirmish field. Out on the field, Donnie, our man in Iraq, kicks off our Advanced Tactics series with the next level in the Art of the Shingle. We showcase Combat South’s Ai Industry Award-winning woodland site, and Lawrence dashes off to CAGE Airsoft for another site report. All your favourites plus loads more airsoft goodness, this makes Ai the must-read for novice and experienced players alike. Hello, we have release the following new products!